We are Coaster Kings. We’re a combination of 4 brands that currently cover many regions including, but not limited to, California, Europe and Florida. We frequently provide our readers with insightful and detailed park updates from parks around the globe. In addition, we post many other kinds of coverage, such as exclusive tour-reports, specials, series of articles, interviews, ride reviews, show reviews, etc. If you’re looking for special event coverage, we got you as well! We thoroughly cover all seasonal events as well, from all Halloween related events, to all Holiday related events. This site and its brands require a lot of passion and love to maintain. We’re proud to have a fun and passionate team with theme park enthusiasts from around the globe! (Additional Team Member profiles are coming soon). Sean Verheijen: I was born and raised in The Netherlands and throughout my youth frequently visited Movie Park Germany and Walibi Holland. A few years back I moved to Los Angeles and founded California Coaster Kings to showcase my love for the industry. Alexander Dickey and I live just a mile and a half from Six Flags Magic Mountain, and appropriately my favorite coaster is Viper. I even have a tattoo of that bad boy. As for my profession, I am a Guest Service Supervisor and Review Analyst for a local Marriott hotel. With lots of passion and help from friends and other amazing correspondents we worked hard to improve and turn the brand into what it is right now, including the launch of our three additional brands. We thank you for support! Sven Popelier: Hey everyone! The name’s Sven and I’m from the heart of Europe: Belgium. Being central, I’ve got the fortunate opportunity to visit loads of parks with just a few hours of driving. I now consider my home park Walibi Belgium but Disneyland Paris definitely deserves the same title. For me it’s not only about the thrill, but also theming, storytelling and offering an interesting mix of rides. Besides being a theme park enthusiast, I love music, traveling, board games, Disney, Harry Potter and collecting. Alexander Dickey: Sup. I’m Alex. I’m from NorCal, but live in SoCal with Sean, my partner in crime and my partner in life. I lived in Nashville for 15 years, so the southeast is home as well. I work for a major airline that allows me to travel all over the world (hence the name “Cabin Crew Coaster Kings”). I’ve been riding roller coasters for about 25+ years now; thrilled to be riding all the time, plus taking photos and writing reports for you all to enjoy. Namaste. 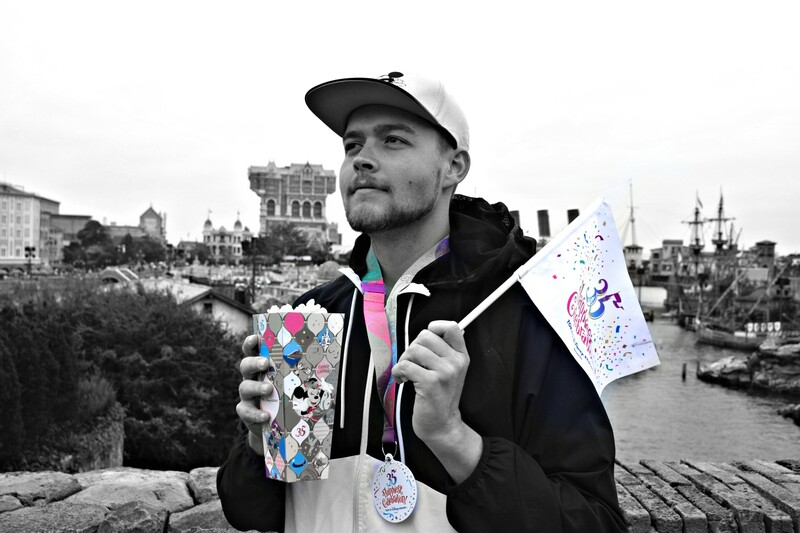 Nick Chandler: I was born and raised in Orlando, so I’ve been going to the theme parks for as long as I can remember. Growing up and going to the parks so frequently caused me to fall in love with them. The rides, shows and overall atmosphere was just so enthralling to me. I liked them so much that when I was old enough to get a job, theme parks were my first choice. I spent 11 years working in various front and back of house positions at several of the major parks here in Orlando. Nowadays the parks are just a hobby for me, so joining the Florida Coaster Kings team is the perfect way to keep my passion for the parks alive and create fun and exciting content! Alex Estevez: Attracted to rollercoasters thanks to theme park video-games such as Theme Park World and RCT3, the construction of Shambhala at PortAventura showed me what’s outside. As a beginner in traveling, I’m eager to discover first hand all of the themed experiences Europe has to offer. By joining the European Coaster Kings crew I am able to share my point of view and the uniqueness of the European industry with the world, as well as improve my English skills. Writing from Spain, my home park is PortAventura but Efteling is my favorite! In addition to theme-parks, I also love photography, lighting and music. See you around! Derrion: Hi Coaster Royalty! I primarily grew up in Moreno Valley, CA and completed my Bachelors of Arts in Psychology in 2015. While in college, I became an ambassador for Undergraduate Admission at UC Riverside, Programmed Film and Lecture Media events for Campus Entertainment, and hosted the Black Graduation in 2015. I got my first job as a ride operator during this time at Castle Park in Riverside, CA and soon after for Disneyland. I have always had a fondness of roller coasters and dreamed of one day being able to design them. It would be my ultimate goal to have my own amusement park one day! When I was 7 years old , I conquered my fear of thrill rides by riding Supreme Scream at Knott’s Berry Farm and from that point, I knew I would be able to enjoy any attraction. To this day Xcelerator is my favorite coaster in California and I look forward to venturing out and increasing my coaster count around the world. Currently, I work for NBCUniversal’s Universal Studios Consumer Insights Department and strive everyday to be an exceptional coaster king by being fearlessly intuitive and of course riding roller coasters! Preston Ewing: Hello hello coaster connoisseurs! My name is Preston. I’ve lived in Southern California my entire life and have grown up going to amusement and theme parks nearby. I’ve had a Disneyland annual pass since I was three years old and have been going ever since! Other than the Disneyland Resort, I also currently have passes to Six Flags, Knott’s Berry Farm, and Universal Studios Hollywood. My favorite roller coaster in California is Twisted Colossus. Can’t get enough of that RMC goodness! Ever since I was around ten or eleven years old, I’ve been a huge roller coaster enthusiast. I attribute my love for roller coasters to Silver Bullet at Knott’s Berry Farm, as that was the first coaster I went on with inversions. Catch you later! Supporting team members for regional and social media coverage include Derrion King, Zachary Anderson-Yoxsimer and Alex McLaren in California, as well as Ayme Temmink, Dorian Josse, Jan Koch and Henri Rush in Europe. Coaster Kings currently exists out of 4 theme park media brands. Besides California Coaster Kings, the brands are: European Coaster Kings, Cabin Crew Coaster Kings, and Florida Coaster Kings. Coaster Kings (including California Coaster Kings, European Coaster Kings, Cabin Crew Coaster Kings and Florida Coaster Kings) is not affiliated with Six Flags Corporation, Cedar Fair Entertainment Company, NBCUniversal/Comcast, The Walt Disney Company, Sea World Parks and Entertainment or any other theme park or any theme park subsidiaries. Additionally, all content provided on thecoasterkings.com, or by any Coaster Kings brands are not to be used by any other party unless permission is given. Copyright © 2013-2019 Coaster Kings, All Rights Reserved. Hi! This is Jeffrey Baek! BUT I do love CAPTAIN EO “BETTER” at Disneyland as long as I wish it would be bring CAPTAIN EO back at Disneyland once again hopefully soon as possible, because I would be very excited to go IF CAPTAIN EO ever comes back at Disneyland, otherwise IF NOT, then I will be SAD and find other things to go other fun rides, BUT CAPTAIN EO is my mainly favorite attraction that I always be wanted to attend and support of that best ride in theater special effects. Also, that I live in California, and the problem, that it is hard for me to fly all the way to Orlando Florida and i don’t have that big money enough, and so it is better IF CAPTAIN EO was be best resume in California, because as long as I live in California who near by my area, and I am soooo upset that CAPTAIN EO is removed last year, and I really really HATED Stupid SNEAK PREVIEW in Tomorrowland Theater and I only had a wish that IF CAPTAIN EO is ALSO be RESUME better to reopen at Disneyland Resort in California to reopen again in the magic eye theater again and i like Captain EO better than other media imagineer because it was cool moving seats and floor and 3D with 3D glasses was great special effects, air conditioner was freshed and so I just hope that CAPTAIN EO would resume this summer as well in Disneyland and this time Disney Imagineer DOESN’T HAVE To ADD up the “TRIBUTE” as CAPTAIN EO TRIBUTE BUT just back to original title with set up the sign and TV media screen to put the titled “CAPTAIN EO” but the same special effects in the theater and so i just hope that CAPTAIN EO is better to come back in California, because it is nearly where I live right now and so hope you understand and alot other Captain EO fans out there who wants it back in California, and remain Captain EO to stay forever at Disneyland and no more sneak previews that happened to other countries, BUT CAPTAIN EO is better to resume back to Disneyland Resort that I supported and so hope you understand, CAPTAIN EO in California is mostly I live and so hope this possible work out well? (or maybe IF its after STAR WARS Episode VII is final sneak previews is done at Disneyland right after when Star Wars 7 comes out in theatres everywhere, then possibly to bring back Captain EO) Thanks. #2. COMPLAINING ABOUT “SPLASH MOUNTAIN” at Disneyland Resort and what to replacing Splash Mountain in Critter Country into something replacing different attraction like a show or better ride than this worst Splash Mountain because..
AS Better WATER adventure ride in Critter Country could be more better and funner to replace this summer as replacing SPLASH MOUNTAIN as into “MAELSTROM” and because I do really interested in some better water rides as like a raft rapids, and so since when MAELSTROM was used to be there as water ride as boat Viking that was used to be at Walt Disney World in Orlando Florida USA, but since Walt Disney World is now closed forever, while they were changing into FROZEN ride that coming 2016, and so now this time and this summer 2015, as if hopefully if you guys and Walt Disney Imagineering members can discuss about REPLACING “Splash Mountain flume ride” to having at Critter Country at Disneyland Park in Disneyland Resort in Anaheim California In Orange County USA, as something I do not like Splash Mountain and a lot of people who disliked Splash Mountain that cannot last long and so I thought, that if you guys can discuss with Walt Disney Imagineer to plan this year summer 2015 to change into another new better and SAFETIER of cold water ride attraction to have “MAELSTROM” ride to be Replace SPLASH MOUNTAIN this year and plan to announce Disneyland to be permanently final day closing forever of Splash Mountain in Disneyland in Anaheim California to make way for more excited original Viking boat of water ride as MAELSTROM to be reopening for new Critter Country at Disneyland Park In Disneyland Resort in ANAHEIM, CALIFORNIA USA this year 2015, and so more fans could enjoy ride as better than ever? Hope you understand and got this suggestion as possible to be working this out well hopefully? #4. BRING BACK of the OLD Original version Walk through of robotic animatronic figures with Sleeping Beauty and Sleeping Beauty’s friends of characters and villain Maleficient and all other set decoration to REPLACE it back to REPLACE the CARTOON and art of that new design to MAKE WAY for THE RETURN of the OLD version of “SLEEPING BEAUTY WALK THROUGH Castle maze IN ORIGINAL OLD VERSION as all set decoration with all same old robotic animatronic characters of figures, AS exactly where all the animatronics figures that appeared showed in every rides just like SNOW WHITE, PINOCCHIO and more Fantasyland was used and so for 60th Anniversary that reopened that it is time to BRING THE VERY OLD VERSION with animatronic Sleeping Beauty in old ways in the past to bring back in old original classic way to REPLACE the cartoon design in the return of the OLD walk through of SLEEPING BEAUTY WALK THROUGH CASTLE in OLD decades where it was? #5 Please KEEP the HATBOX GHOST to still Stay as even also remain Hatbox Ghost as well for during HAUNTED MANSION HOLIDAY such as Fall Halloween Time and Christmas Time just like same basic normal day but to decorate little bit holiday for Hatbox Ghost but to keep Hatbox Ghost to have it stay for any holiday season as even when Nightmare before Christmas of Haunted Mansion Holiday at Disneyland Park in Disneyland Resort in Anaheim, California as well? “SPACE MOUNTAIN: Xtreme Viral” for the fans of PSY for making limited time OR maybe remain permanetly either one? Have you considered contacting Disneyland to share your concerns and wishes?